It has to be said before you start thinking I’m crazy for making the suggestion – there are actually some really great hostels out there. Clean kitchens, great beds, awesome people, and many of them are family friendly, too. You’ll have access to a kitchen that’s fully stocked with everything you need to make a healthy meal – pots, pans, ample fridge space. What’s not to love? AND! If that’s not enough, hostelling will save you a ton of money. Think $20 per day for a room as opposed to $150 in a hotel. Imagine spending just $15 per day on food (and feeling great afterward) instead of bopping from restaurant, to room service to restaurant again. The pennies add up really quickly. Hostelling. Mega in love. Love, love, long time. and; most recently, my homemade Cheez Whiz. Yes, I brought my bright orange, heavily awesome Cheez Whiz along with me to Toronto and I don’t regret it one little bit. I’ve been slathering it on just about everything. Vegetables, wraps, cooked sweet potato, sautéed onions… everything. 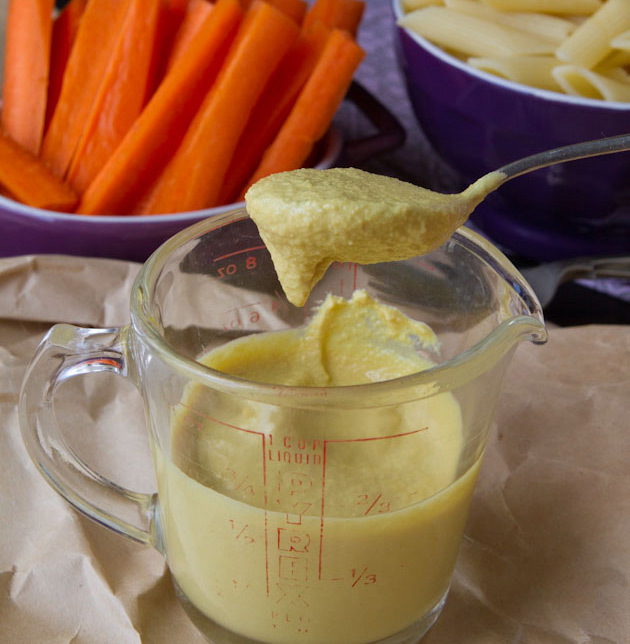 So here goes – a nut-free, vegan cheese sauce for you! I had the magnificent honor of sharing this recipe over on Shelly’s blog, Vegetarian Ventures. You’re going to hear from Shelly later this week when she shares an ultra delicious chocolate recipe with us all as part of my Power Posse series. It’s going to be ultra fabulous. 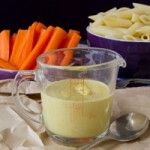 Ultra cheesy vegan sauce that's free of nuts! 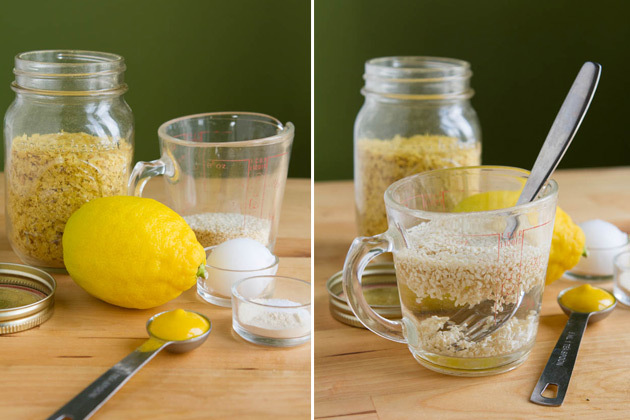 Add water, sesame seeds and lemon juice to the jug of your high powered blender. Blend on high for 2 minutes, until smooth. Set aside. Add oil to a medium saucepan or frying pan and melt on medium-low. 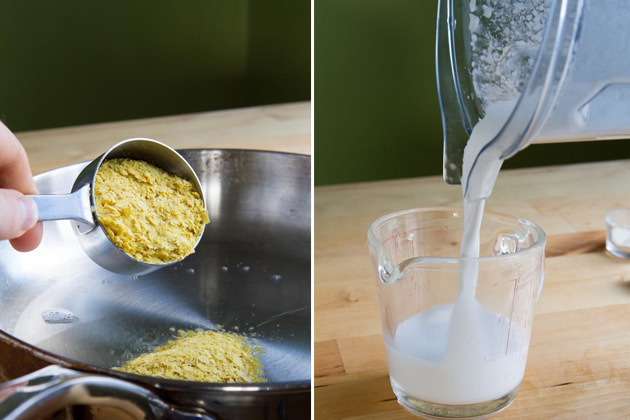 Add nutritional yeast and stir with a fork until all yeast is covered in oil. Pour in sesame seed mixture and stir until it comes to a boil. Add in remaining ingredients: mustard, onion powder, garlic powder and salt. Cook for 1-2 minutes until thickened. 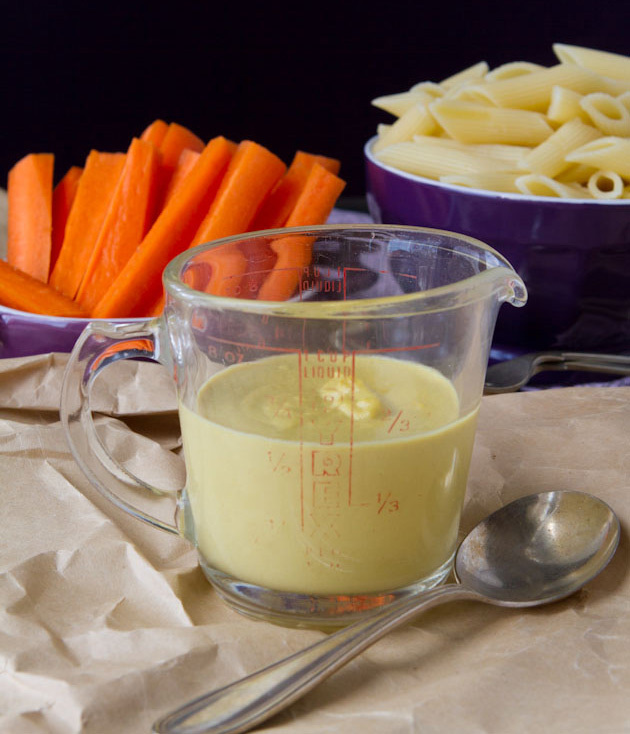 Remove from heat and stir in your favorite cooked pasta or serve warm with veggies. Feel free to replace the coconut oil with whatever oil you have on hand. The great thing about using coconut oil is that, when heated, the sauce is runny and perfect "cheese sauce" consistency. But when chilled, it is similar to a cheese spread. If another type of oil is used, this may not be the case. How do you stay healthy when you’re traveling? What major challenges are you faced with when trying to eat healthy on the go? All of your juicy, glorious answers will help the thousands of women in our community. Be generous, share your story, and miraculous shifts will unfold.